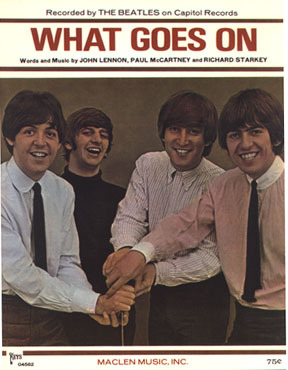 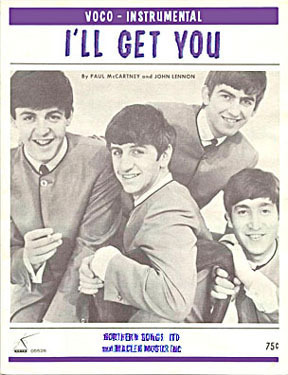 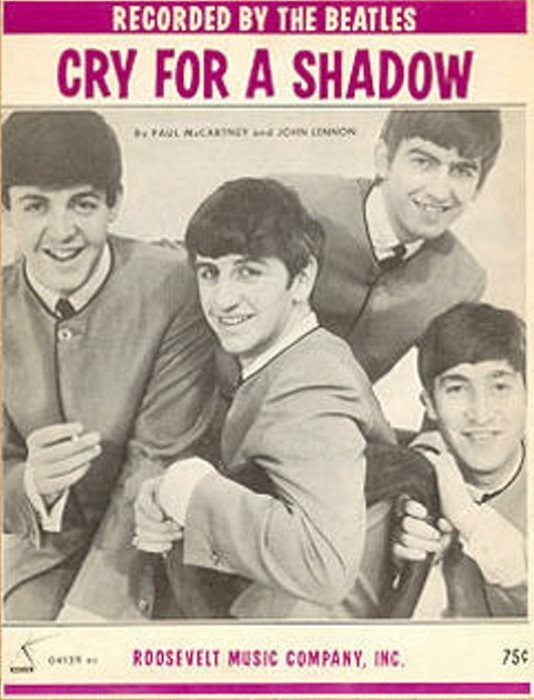 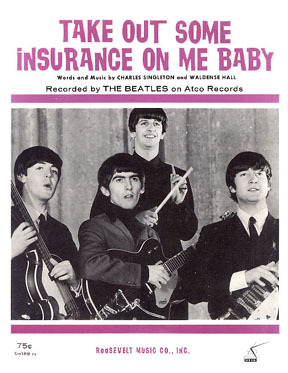 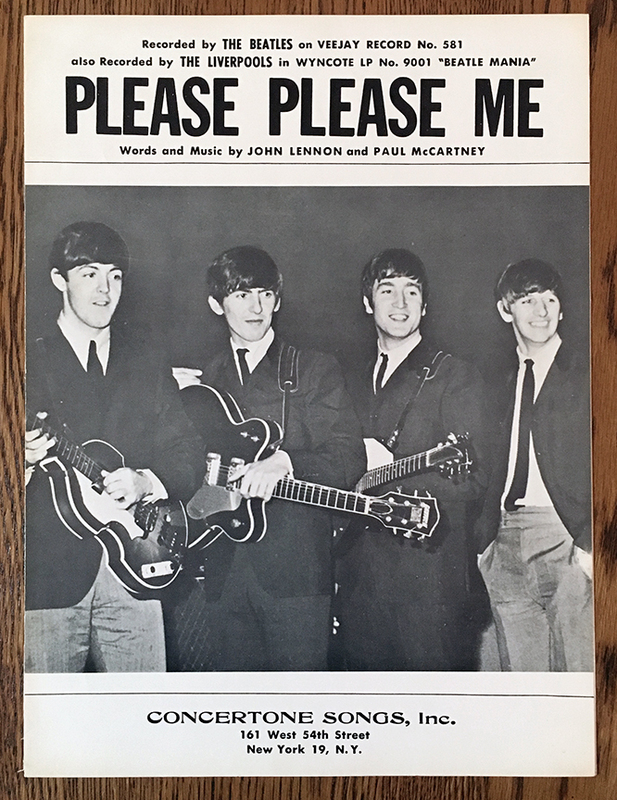 Collecting Beatles sheet music has become very popular in the past few years, and to some collectors, original sheets are as desirable (and perhaps similar to) acquiring original picture sleeves. 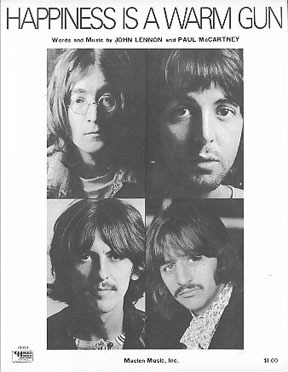 Many of the sheets contain photos exclusive to that particular release, further enhancing their desirability. Like picture sleeves and other collectibles, original near-mint/mint copies are always more in demand. 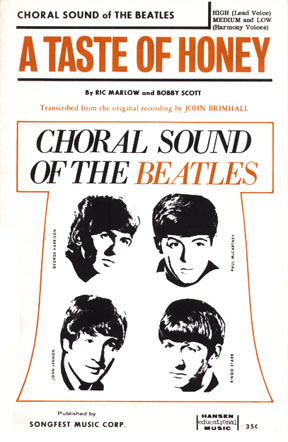 It is also desirable to find sheets without price stickers, store stamps or written notations by musicians! 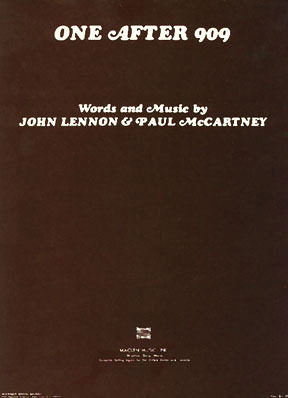 The following is a history and list of the 150+ known original titles of Beatles sheet music issued in the U.S., starting in 1963. 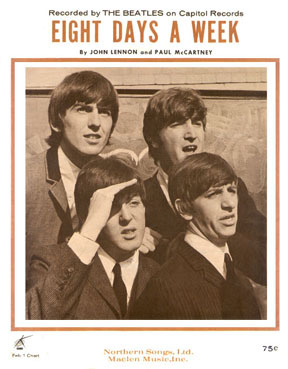 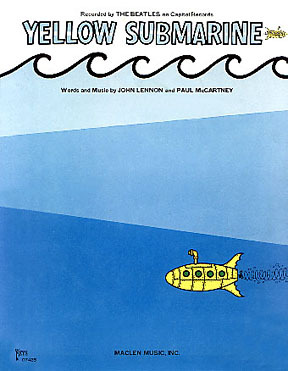 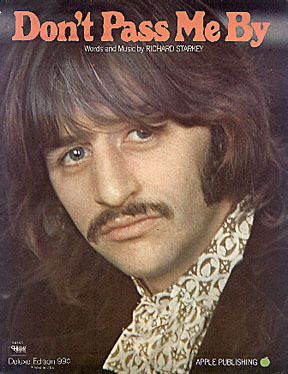 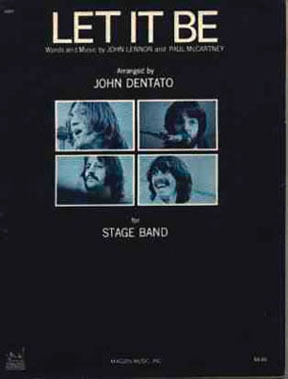 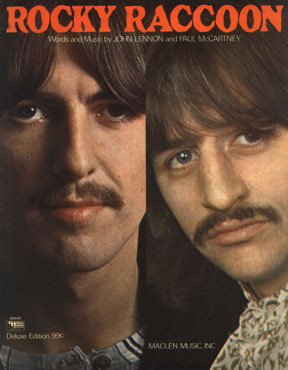 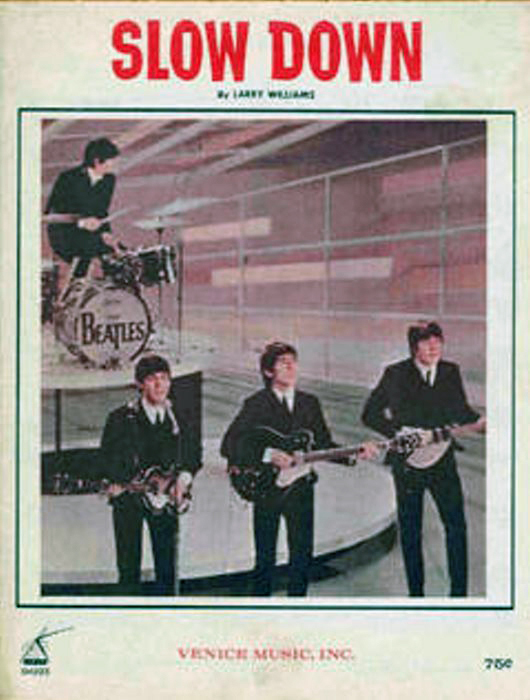 Two other sub-sections feature Beatles songbooks as well as solo Beatles sheets and songbooks. 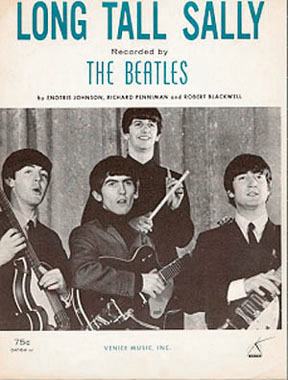 A complete U.S. sheet music/songbook collection would comprise over 500 pieces, not including countless variations and reissues. There are well over 400 examples pictured on these pages. Our eventual goal is to have every known U.S. sheet and songbook illustrated, including all variations and reissues. 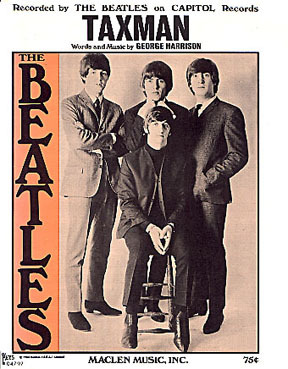 Images, values and other details will be added and updated regularly, including information never before published. 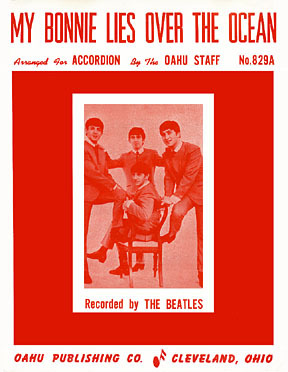 We also have a section on sheet music from the U.K. as well as some examples from Australia, Japan and other countries. 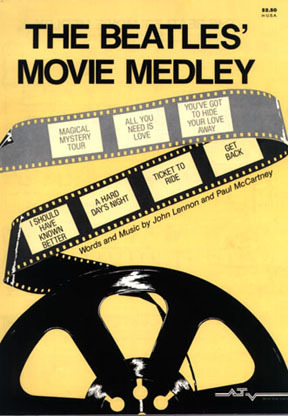 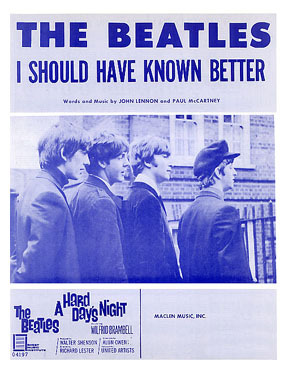 Early sheet music titles were printed in a larger 9"x12" format (noted with an asterisk after the title in the chart below). Publishing companies include: Gil Music Inc., Concertone Songs Inc., Duchess Music Co. and Jobete Music Inc. to name a few. 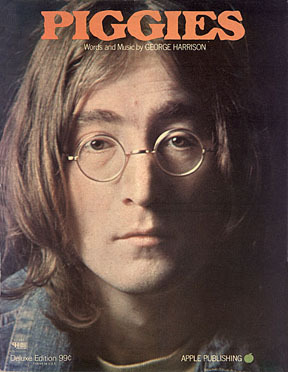 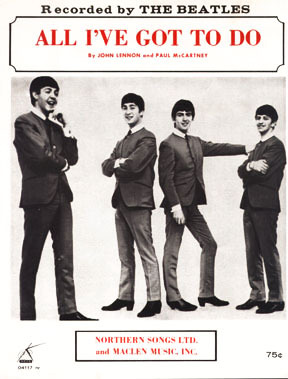 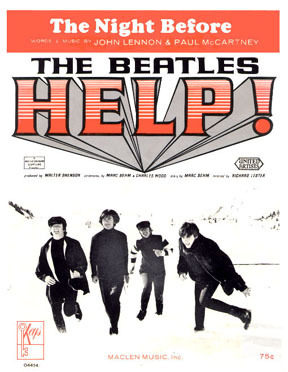 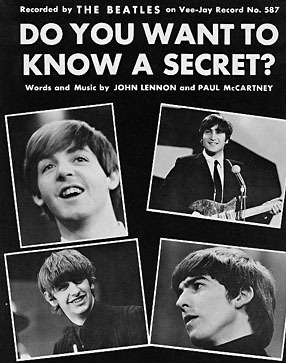 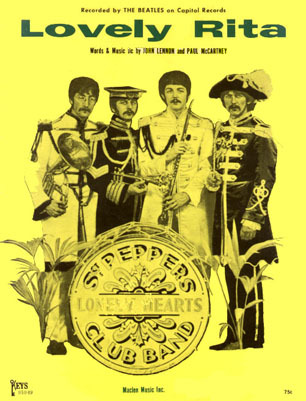 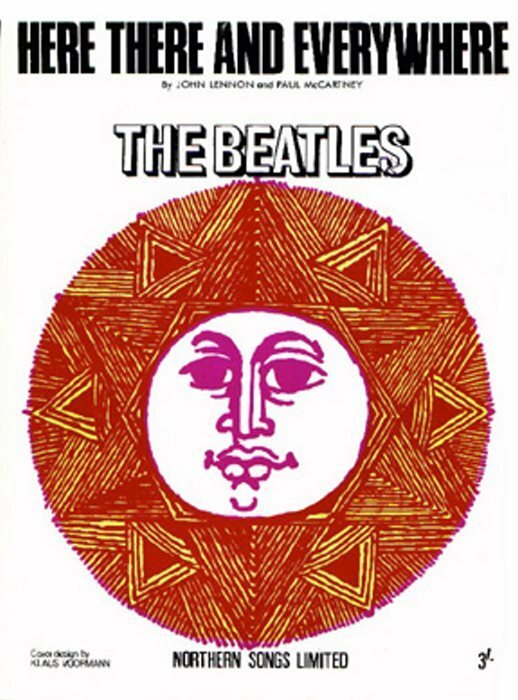 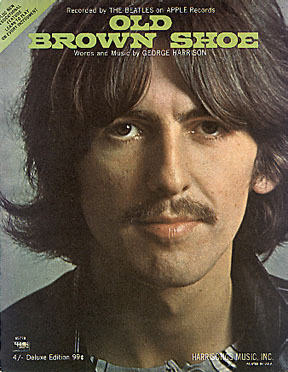 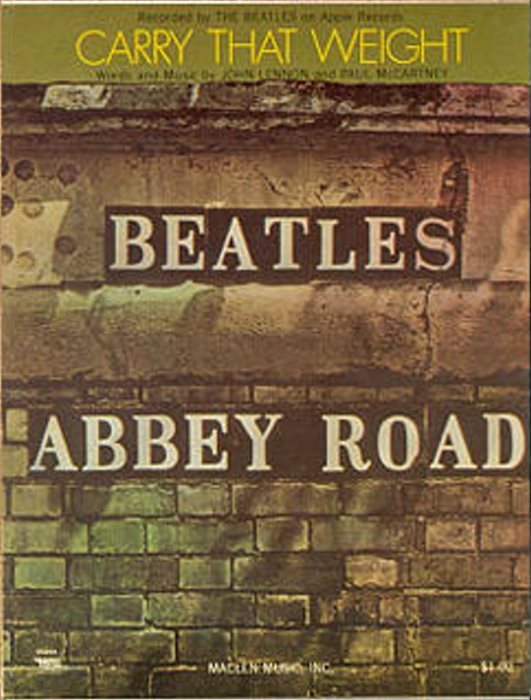 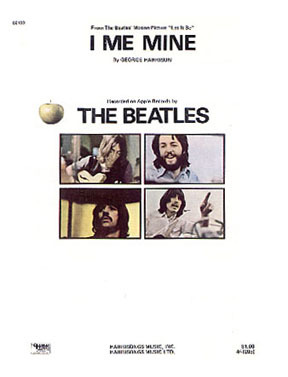 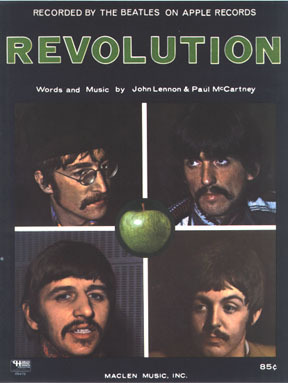 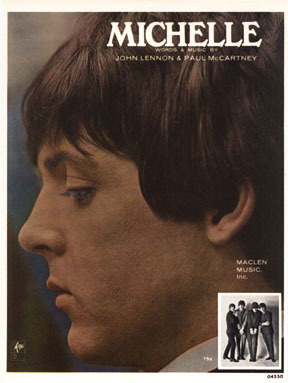 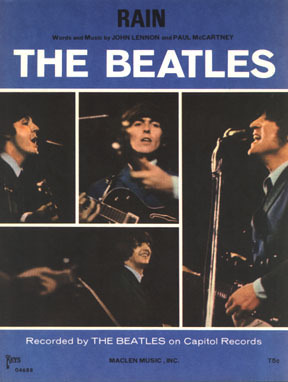 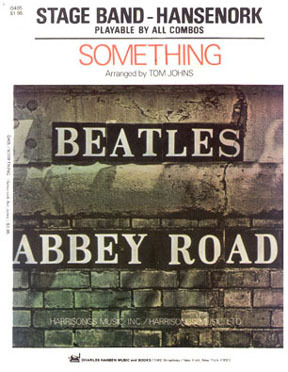 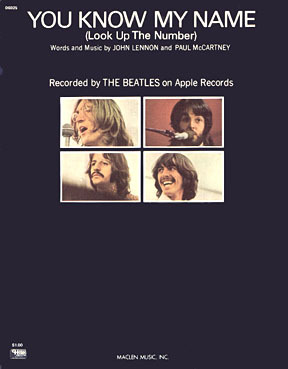 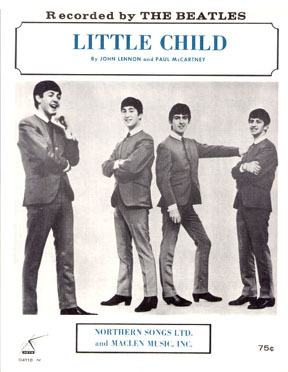 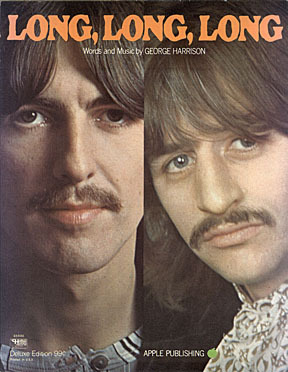 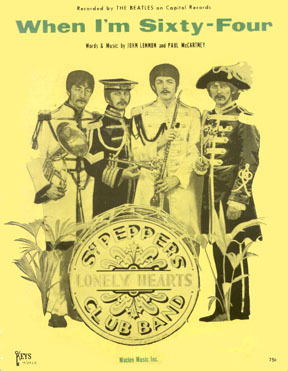 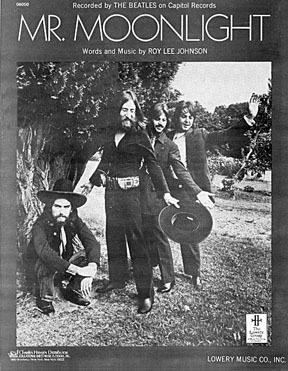 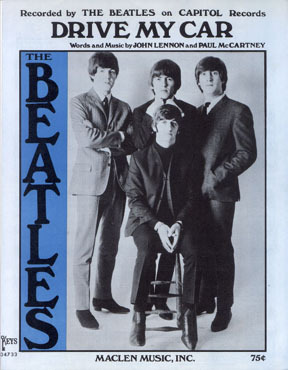 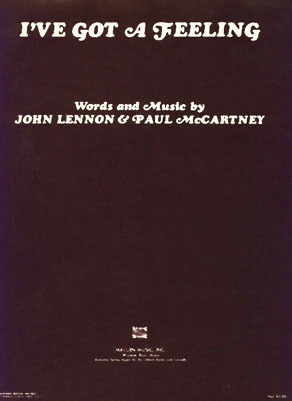 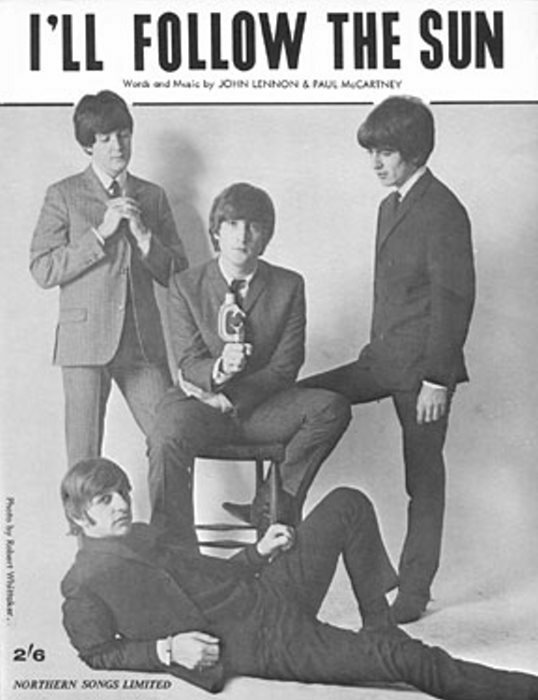 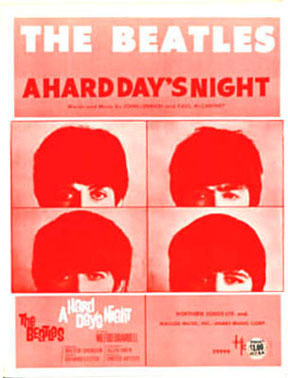 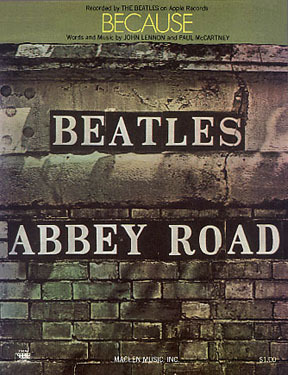 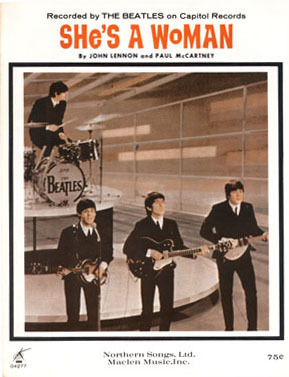 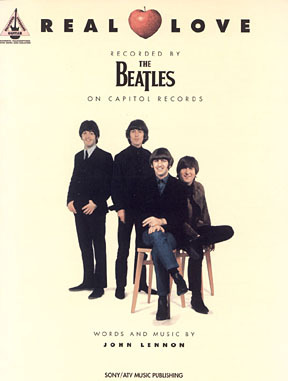 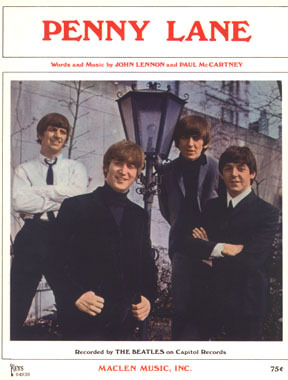 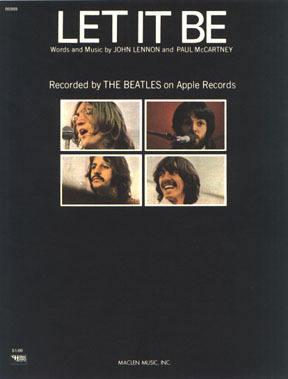 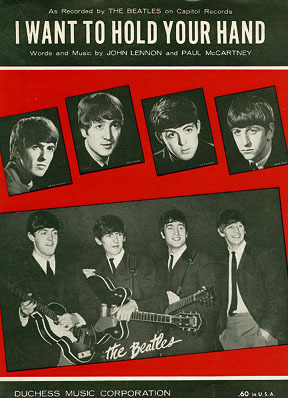 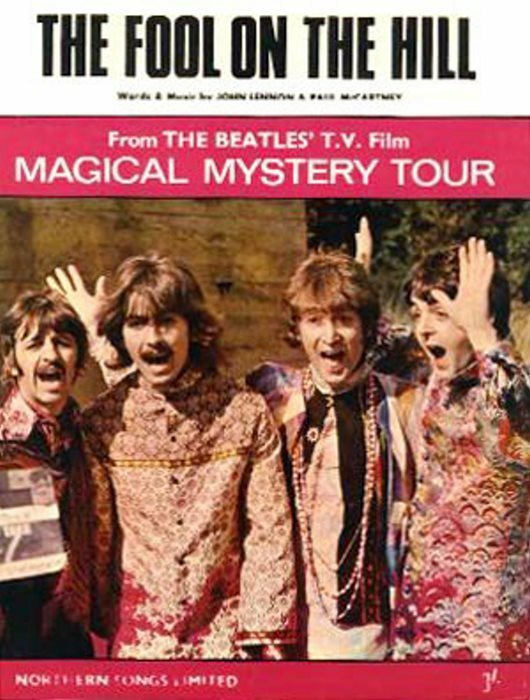 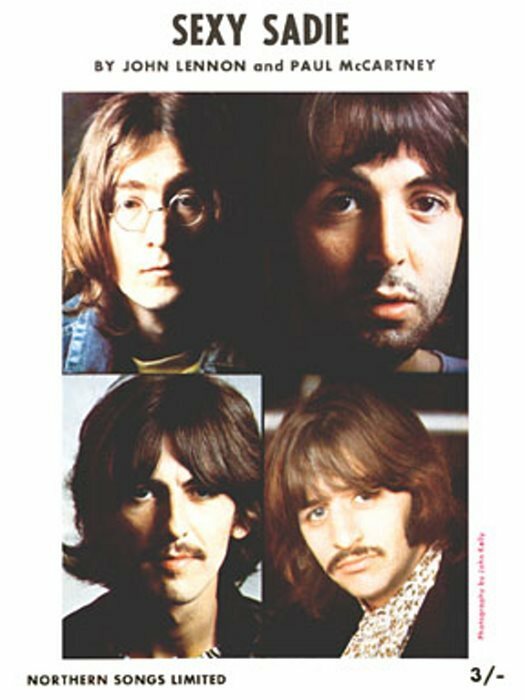 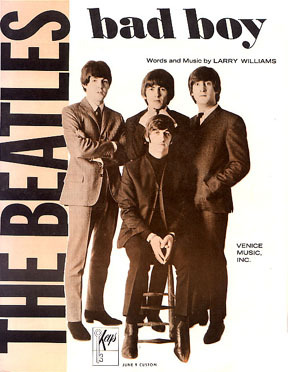 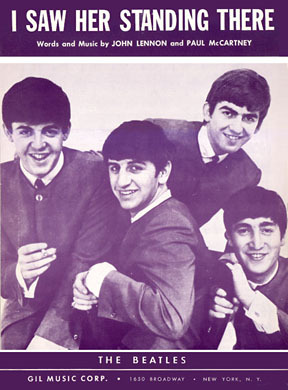 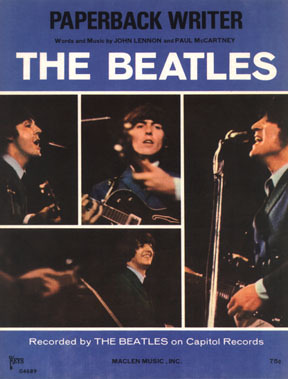 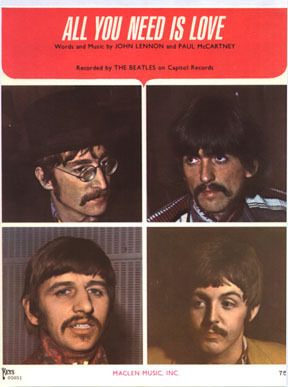 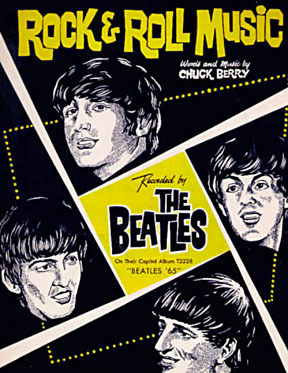 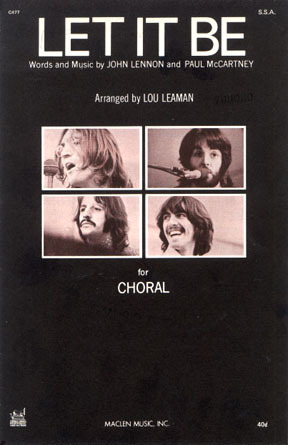 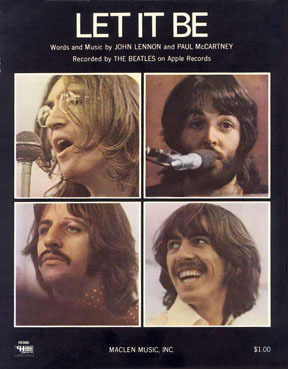 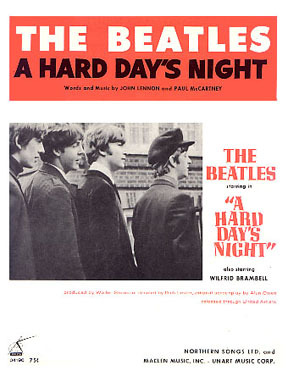 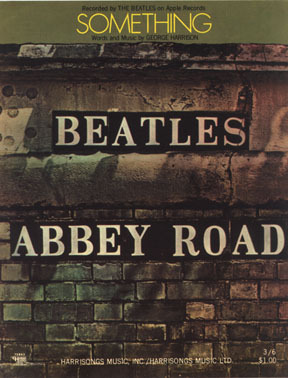 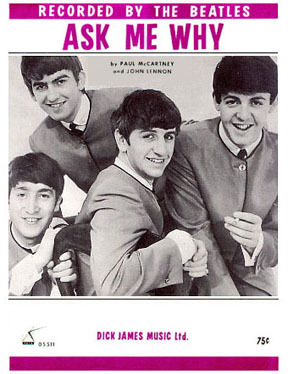 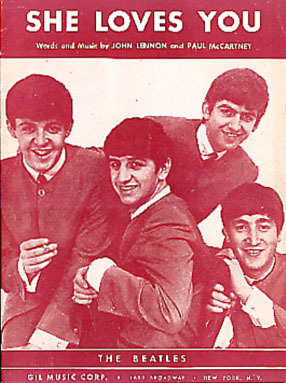 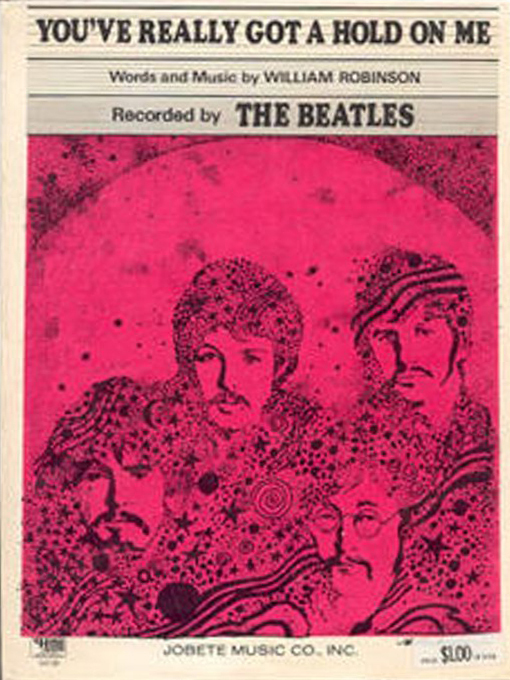 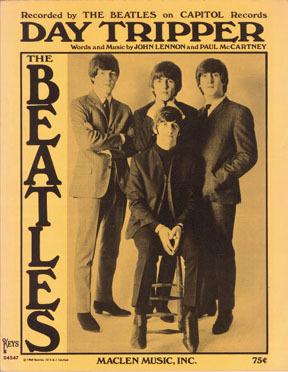 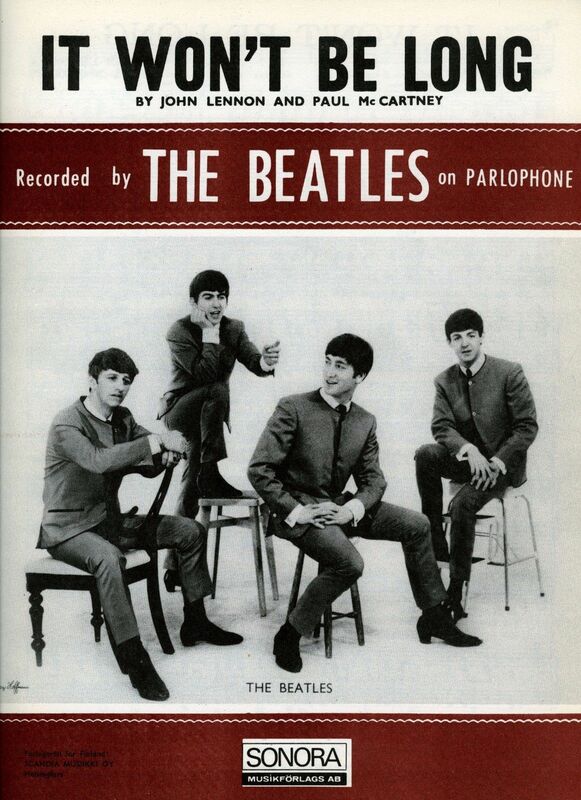 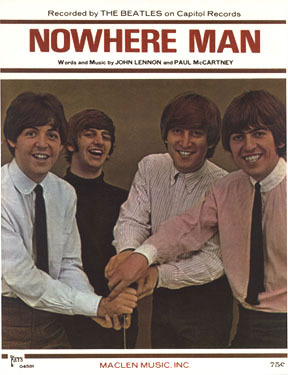 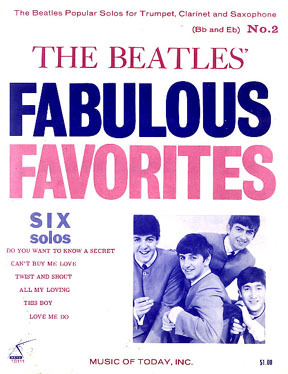 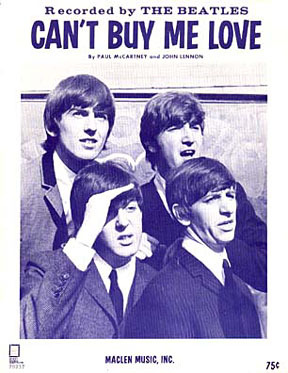 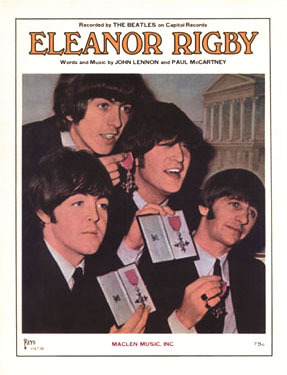 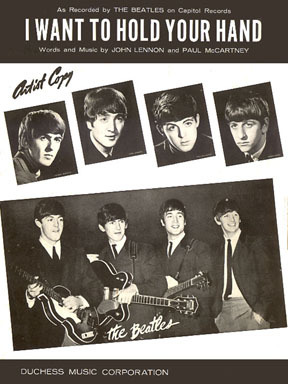 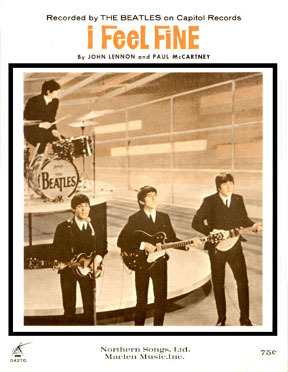 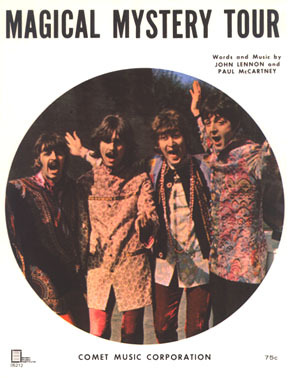 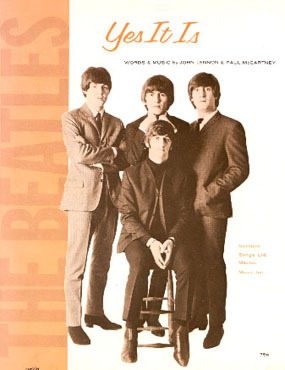 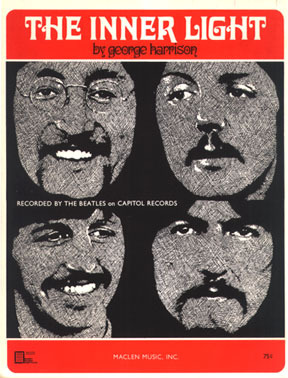 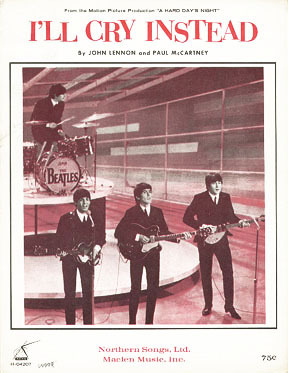 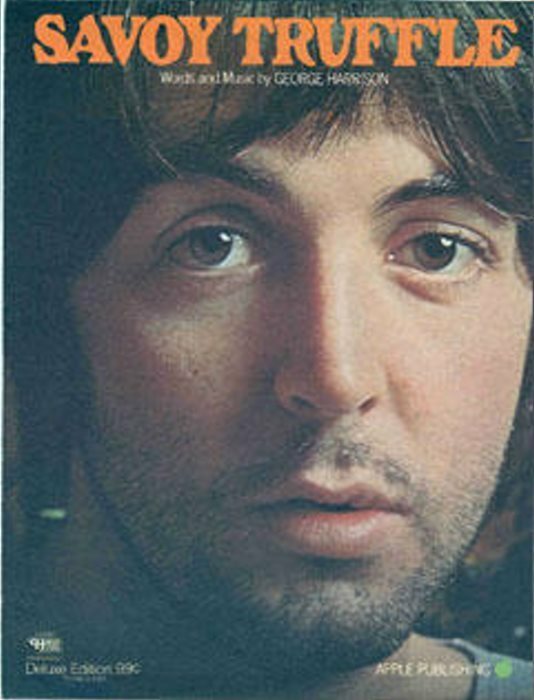 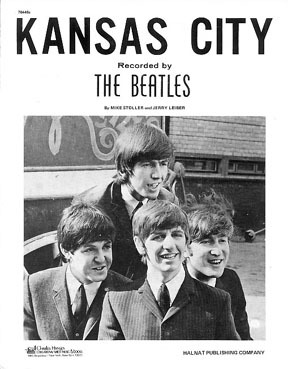 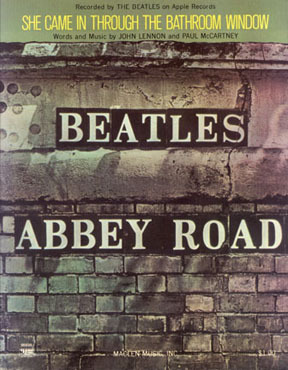 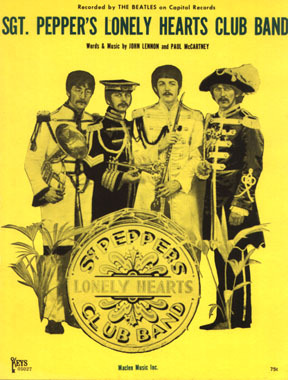 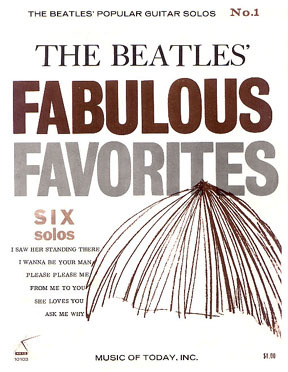 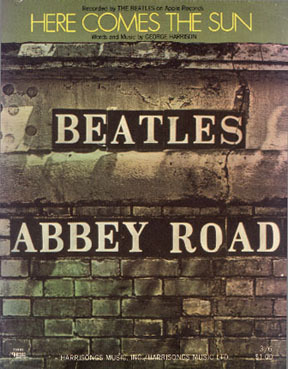 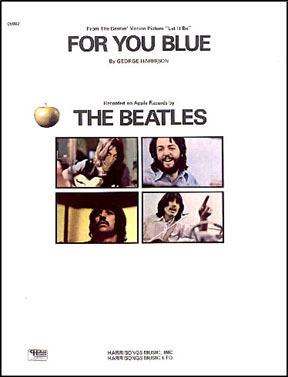 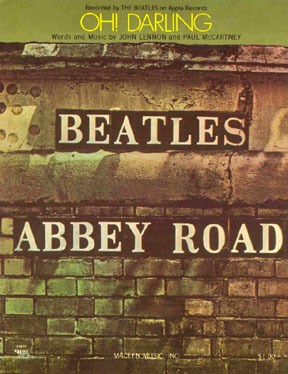 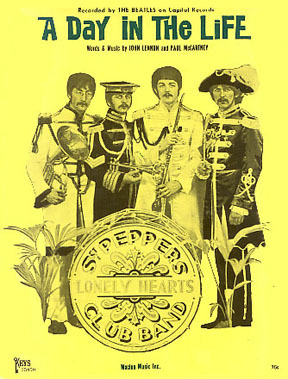 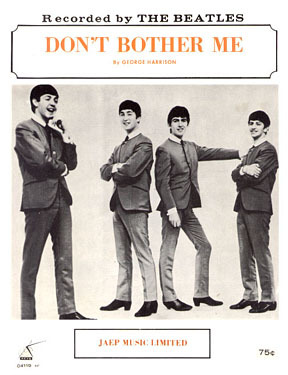 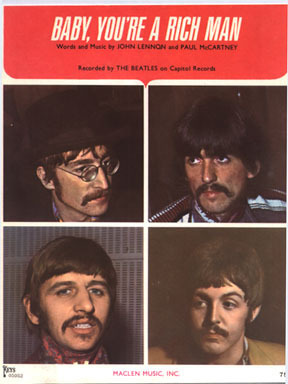 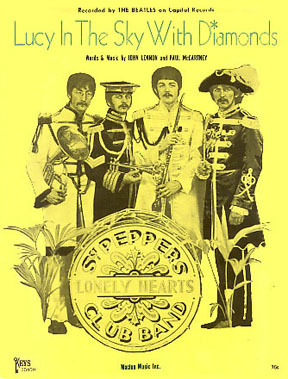 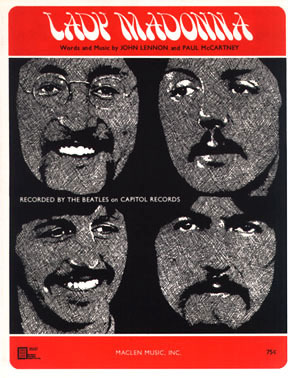 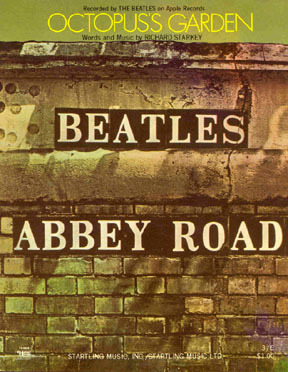 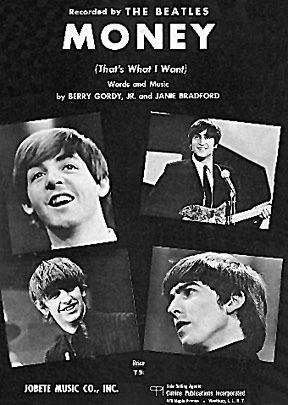 When Charles Hansen Publishing began printing all Beatles sheet music in the US beginning in 1964, they used the more common 8-1/2" x 11" format. 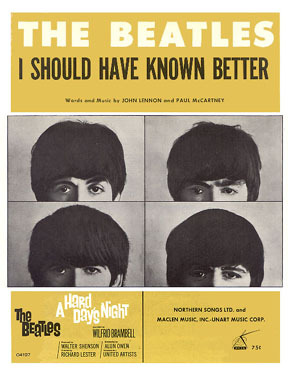 Some specialty sheets were also printed in a 7" x 10-1/2" format. 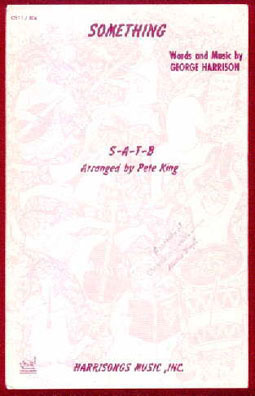 These include "Choral" arrangements and a series of 6 sheets published in 1969 by Hansen called the "5-Way Hansenork" editions - in which the photos were printed sideways, wrapping from front to back. 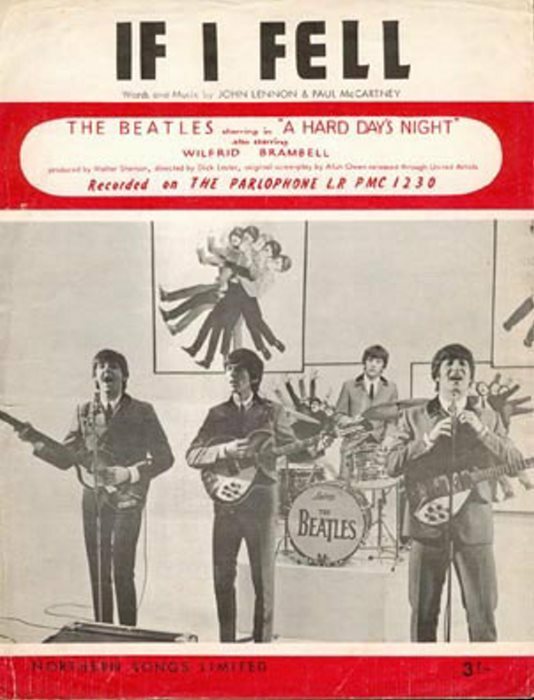 Many more variations of sheet music exist, including issues with different photos, different release dates, different catalog numbers, on coated and uncoated paper, and even song credit variations. 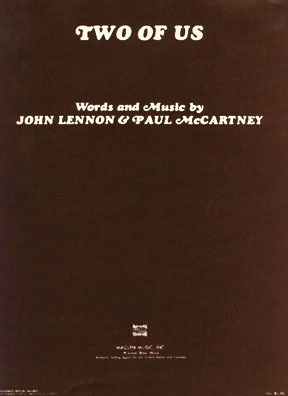 Charles Hansen Publishing released the sheet music under three different nameplates: Charles Hansen Publications, Keys, and Sheet Music Institute. 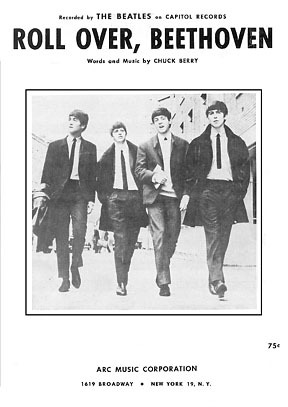 Sheets printed between March of 1964 and August 1967 have the Keys logo, some sheets printed between October 1965 and May 1970 have the Charles Hansen Publishing wordmark or logo, and some sheets printed between October 1967 and September 1969 have the Sheet Music Institute logo. All but a few original Hansen sheets have a print code, date code and stock number printed on the sheet. 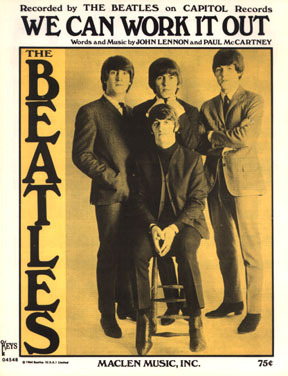 The stock number from 1964 to late 1966 appeared on the front and the print and date code on the back page. 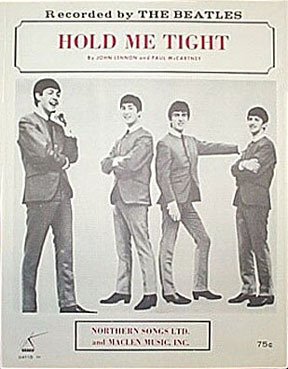 The stock number was sequential by release and the print code such as F3M indicated a print run of 3,000 ("3M" means 3,000 to a printing company). 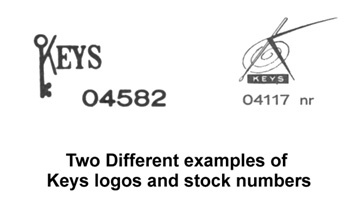 The stock number and print code after 1966 were both printed on the back page with the date first, followed by a letter code (meaning not determined at this time) and sequential stock number. 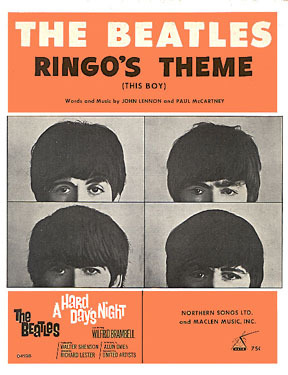 An original sheet would typically have a date code that is close to the original release date of the song title. 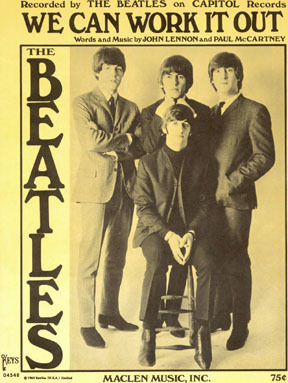 However, there are some instances of original sheets having dates much later. 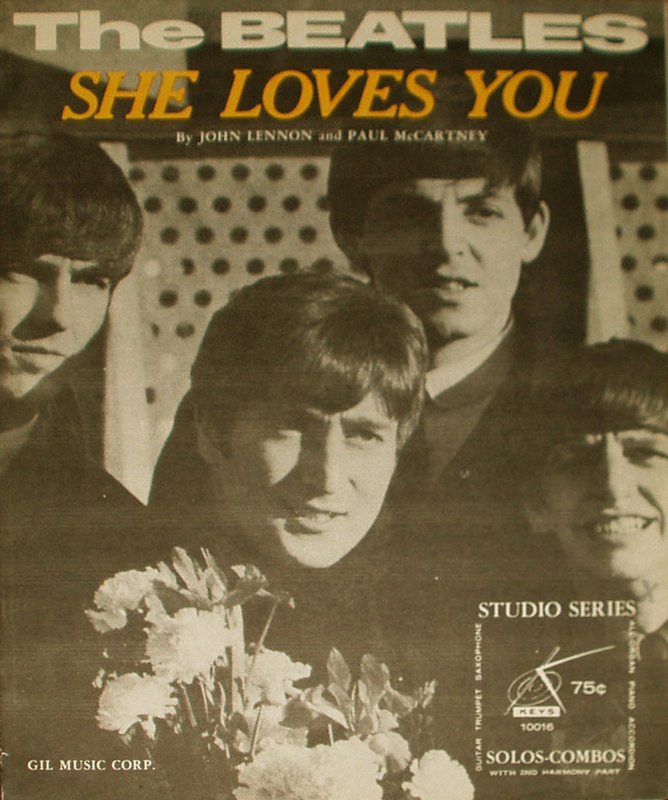 We have seen an All My Loving sheet (orig. 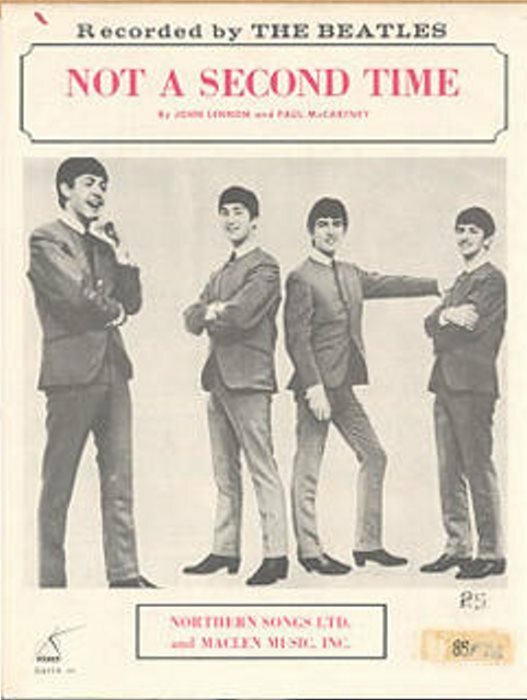 4/64) with a date of 3/65 and even a Something (orig. 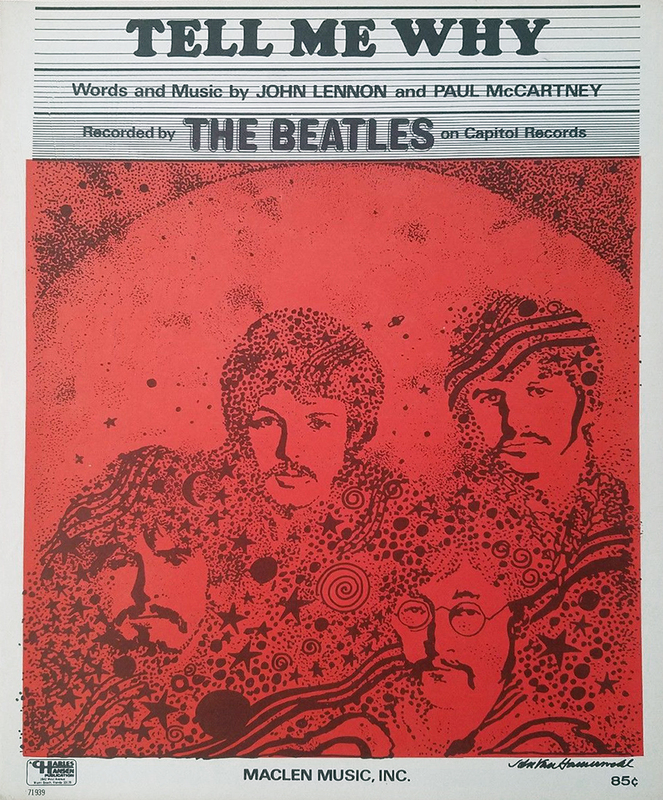 9/69) with a print date of 10/74!! 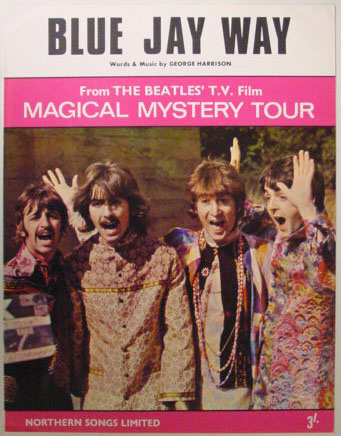 There are also instances where later reprints of a number of original sheets all have a '9999' stock number. I Dig A Pony * Warner Bros. 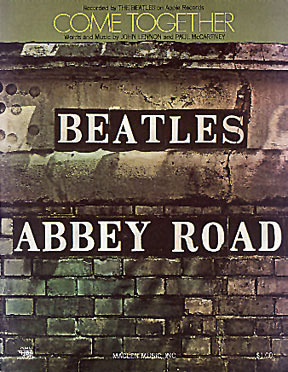 Sometime in late 1966 Hansen Publishers, the main publisher of Beatles sheet music, must have relocated from Florida to Chicago. 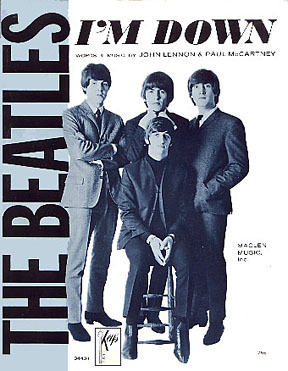 This is evident with pre-1966 sheets that have a publishing date of late 1966. 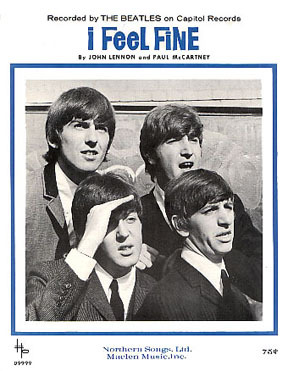 An example of this is the I Feel Fine sheet originally released in 2/65 that was rereleased with a different photo, a complete Chicago address on the back and dated 12/66. These sheets, while not the first printings, can still be considered original for the purposes of authenticity and value. 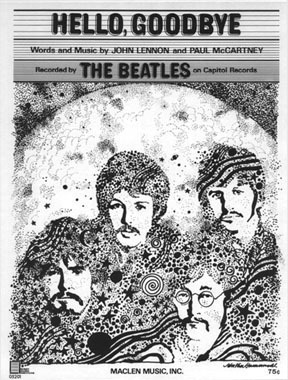 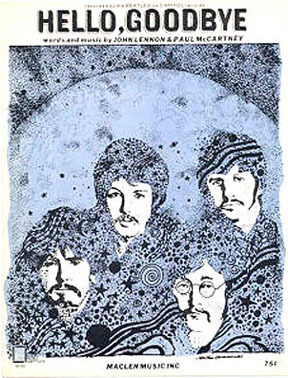 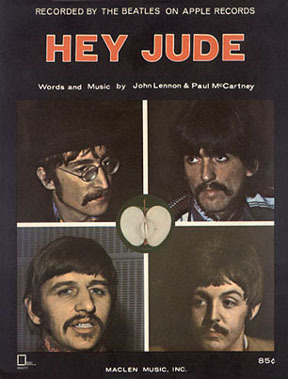 The entire pre-1968 catalog was reissued in 1968 with a generic line drawing of the Beatles which was first used on the Hello, Goodbye (12/67) sheet. 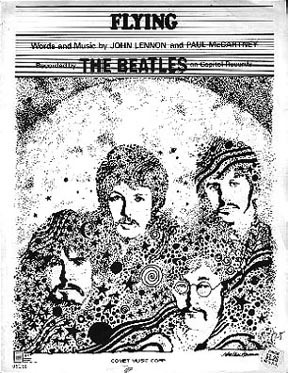 In fact, there are a few late 1967 sheets that have this line drawing but are not considered reprints. 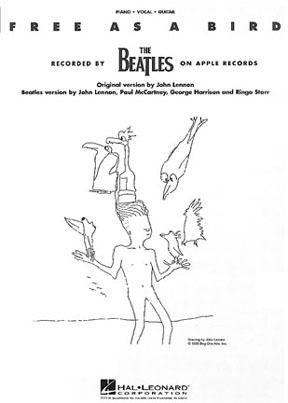 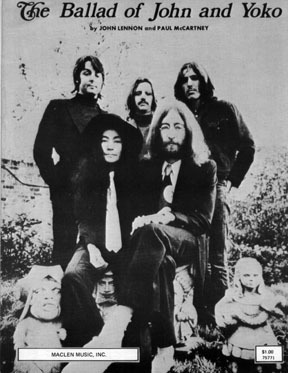 It was at this time that Hansen appears to have made a mistake and released the sheet From A Window crediting it as "Recorded by The Beatles". 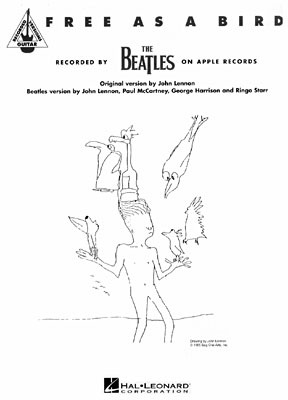 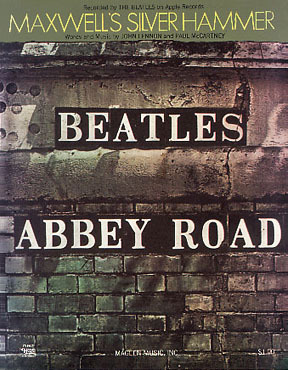 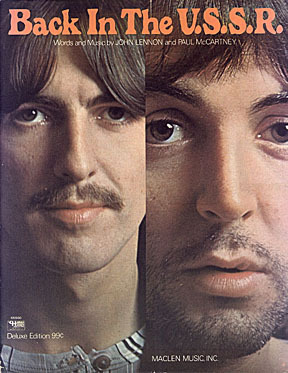 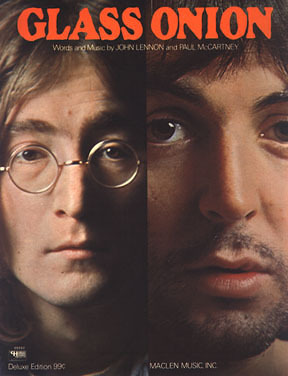 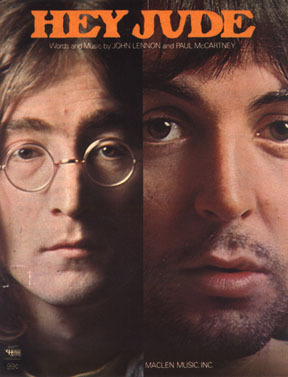 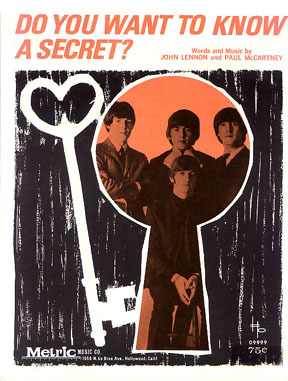 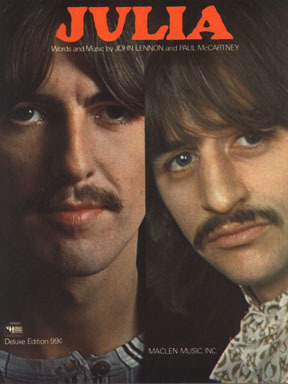 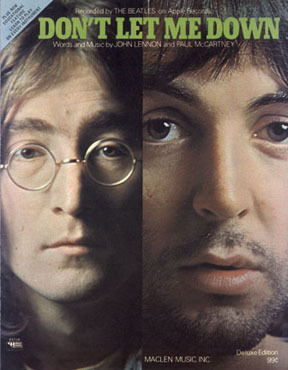 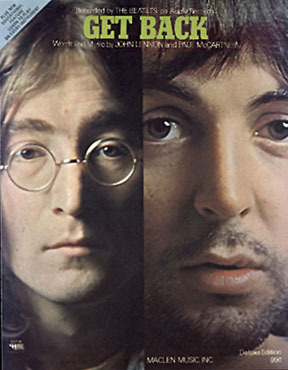 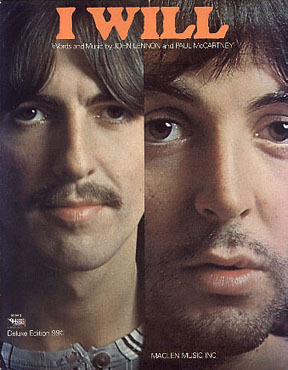 While it was written by Lennon/McCartney, The Beatles did not ever record or release it. 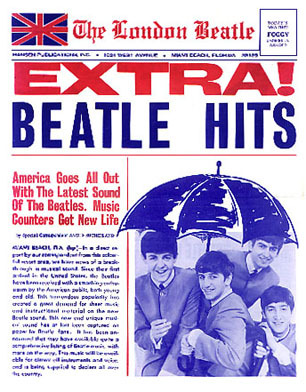 This is the rarest sheet with less than six known copies documented. When the rights to print Beatles sheet music was transferred to Warner Brothers in the mid-seventies (Hansen continued to print solo Beatles sheets up until sometime in 1976) they not only took the fun out of checking the dates, they took the fun out of collecting the sheets. 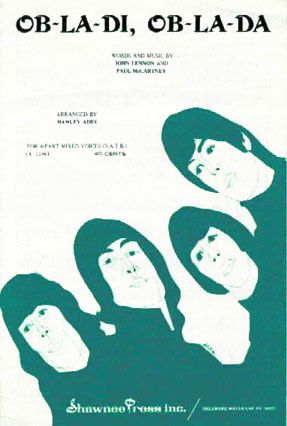 All the Warner sheets were released with plain color covers and no date information. Colors range from a brownish-red to purple to bright red and even blue. 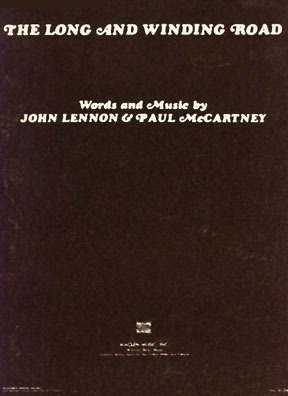 All have the title in 'Cooper' typeface printed in white across the top of the page. 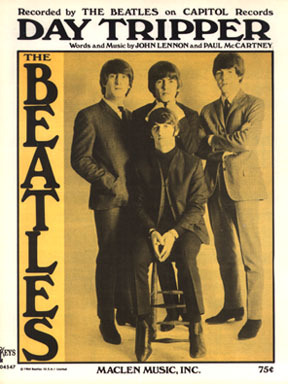 These sheets are of little or no value to collectors. 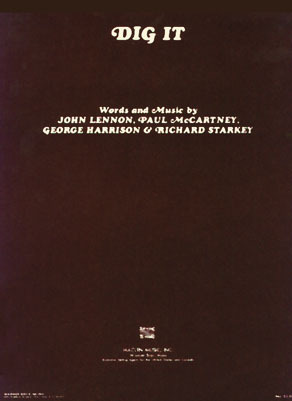 HL reissued some of the Beatles' more popular sheets, often with plain or very boring graphics with lines and gradients of color. 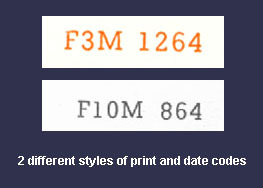 The date codes on these sheets can be found in various places and are stated as a "range". 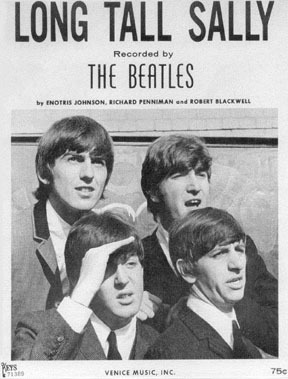 That is, the date might say 1083-984 meaning it was first printed in October 1983 but may have been printed as late as September 1984. 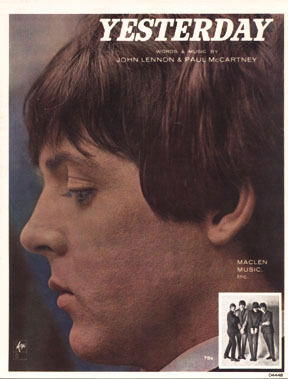 © 1996-2017 Mitch McGeary. Title graphic by Robert York Additional scans and information provided by Perry Cox, William McCoy, Robert York and others. 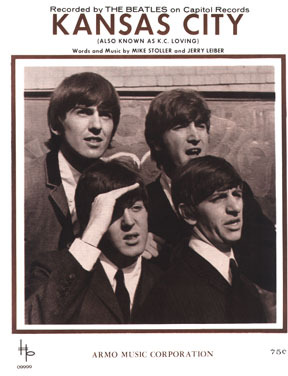 Beatles USA sheet music Beatles USA songbooks Solo USA Beatles Australia Beatles Japan Beatles U.K.